My 101 tasks in 1001 days challenge is over. I can’t believe how fast 1001 days have flown by. When I look at my final list, I realized that even though I didn’t accomplish everything on it, I still got a lot done. It was a great way to bring attention to some areas of my life and explore them a bit. It’s also helped me identify a few things I want to spend more time on from now on. All in all, it was a great experience and this isn’t the end. After many weeks of reflection and wish contemplation, I’ve put together a list of goals I want to accomplish in 2014. That list includes sub-goals to guide me along the way, and specific deadlines for each. I’ve even created a giant calendar that lists what I should be working on every day to help me get these goals accomplished. I know it can sound a little extreme, but with the crazy life and schedule that I have, this is the only way for me to have a constant visual reminder to refer to every day. I really hope I make some headway in the months ahead. I have to laugh at this goal because when I wrote it, I mostly used Internet Explorer. Today I still use it, along with Google Chrome, and each browser has its own set of bookmarks, as messed up as they can be. One of those days when I feel like a little cleaning would do me good, this will be a good project to tackle on. As much as I wanted to work on this in 2013, I didn’t. It’s on my list of goals for 2014 and so far I haven’t done it either but now I have a reminder twice a week to give me a chance to focus a few minutes at a time on this project. I had 1001 days and I didn’t get to do this. But… when I originally wrote this task, I wasn’t sure what type(s) of book I wanted to write. 1001 days later, I have a much better idea and actually several drafts in various stages of completion. Now that I’ve signed up for Julie Hedlund’s 12×12 challenge, I have further motivation to work on this throughout the year. That was easier than I thought. While some books took me longer than a week to read, I’ve figured out one book a week is what I average. That would have been a lot of fun but it didn’t happen. I post my book reviews on Goodreads every time I finish an adult book but don’t do it for all the children’s books I read with my kids. And I don’t post my reviews on Amazon, even though I’ve wanted to. One of my setbacks what the name to use for those reviews. I think I’ve figured it out now and I’ll be doing a better job this year. I did terrible at this. It sounded so easy and I realized it’s not. Good wake-up call for sure. This has been a lot of fun. I got a bread maker last year and several of the recipes were to make some kind of loaf, such as brioche or sweet milk bread. I almost did it! Instead we made Halloween cookies, and then Thanksgiving cookies this year. By the time Christmas came and we got busy playing with our new toys, we’d forgotten all about the cookies! I’m so glad this was on the list and we’re looking forward to more picnics this year. The challenge has been to pack some foods my kids would eat since they don’t like sandwiches. I’ve managed to feed them well and we’ve really enjoyed eating outside in the middle of nature. This was an “interesting” experience, as some of these restaurants worked out well and others didn’t (the food or the service was below average). It’s still nice to try something new once in a while. This probably sounds easy for many of you since you get plenty of rain. We don’t. As in, it almost never rains here. And when it does, it’s in the winter and it feels cold outside. The last thing you want is go out and get drenched just to sing. I hope one day my kids have the opportunity to experience one of those summer storms where the rain coming down feels wonderful and all you want is to stand in it, sing and dance. I just don’t think my kids are old enough to put up with being on a boat for 6 to 8 hours yet. I don’t think I am either, haha! Making the cake in itself isn’t a lot of work but getting the kids to choose the cake they want is a little different! I want to say we did this because I swear we did, but I can’t remember. Probably at one of those pony rides. I’m leaving it undone as a future reminder to have my kids and myself do it. Our ongoing drought of four years hasn’t helped with that. The only waterfalls I’ve seen were man made. Same reason as above. A longtime drought and not enough snow. I did this by myself this summer but didn’t see any shooting stars. I did give my kids the opportunity to stargaze early this winter, since the night comes so much earlier. They were amazed at how many stars and planets were visible to the naked eye. I don’t feel bad about this one because my kids haven’t asked to go. We did go to Legoland California though (#82). Guess what’s on my list for 2014? I’ve made a conscientious effort to get to bed earlier in the past few months. I know it’s a new habit I have to establish and I’m working on it. I’m a lot more productive on the days when I’ve gone to bed early enough the night before. I’m sure it would be nice but I just can’t justify the extra water and the extra time spent in the bathtub right now. If you have tips for this one, I’m all ears. Do you know how hard this is? But I really want to try it one day because I like the challenge! I didn’t do a whole weekend but I did it from a Saturday night to a Monday morning twice last year. It was difficult and liberating at the same time. This year, I’m planning to do one unplugged Sunday a month. I stopped counting after 52 but I’m really glad I did it, and many times it involved my kids too. Definitely on my list for this year again! If you didn’t participate in the 101 in 1001 challenge, did you set goals for yourself last year? How did you do? Are you setting goals for yourself this year? What tips do you have to share to help someone reach their goals? I want to apologize to Melissa Guion for taking so long to write and post my reviews of her books. I read them with my kids as soon as we received them. We really enjoyed them and read them a few times each. I just got wrapped up in the holiday frenzy and then my kids were off school for two and a half weeks, and then a new year started… You get the idea. So today I’m finally catching up and sharing these books with you. 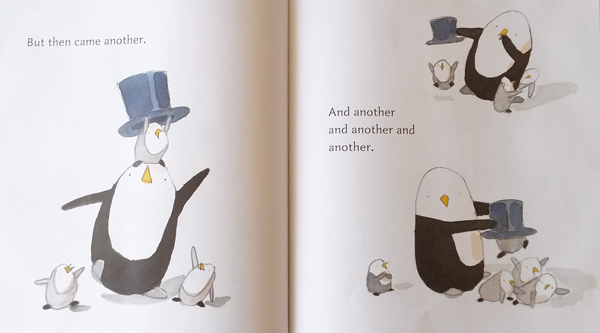 First in the series, Baby Penguins Everywhere tells the story of a penguin all alone on the ice, feeling lonely. Until one day, when she sees a hat floating by in the water. Out of the hat popped a little penguin. And another. And another. And another. And many more! The hat looks like one of those magician’s hats where the guy can pull out 10 rabbits in a row. You can imagine that after a while, Mama Penguin is a tiny bit tired, physically and mentally, so she needs to take a moment for herself before she goes back and enjoys her little penguins’ company. I love the message that moms need a break throughout the day when dealing with little ones. My kids did notice she was doing all of this alone and didn’t get any help. I personally feel for her. Obviously penguin moms have a lot more energy than human ones. By the time Sunday arrives, Mama Penguin needs a nap. I wonder how long her little ones let her sleep but probably long enough because she looks refreshed after that. And then Mama Penguin asks her penguins what she’d become once they were all big penguins, a question most of us moms wonder. The answer? Their mama, of course! Overall my boys and I found these two books very cute, and very funny. 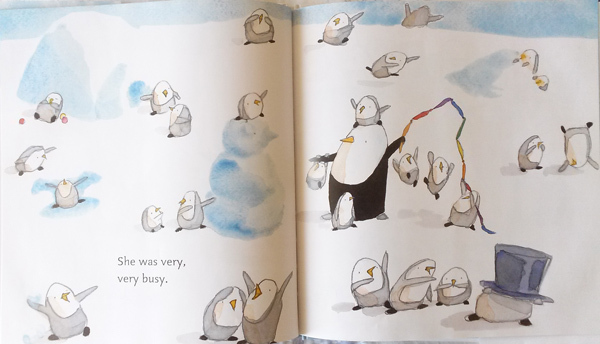 We enjoyed the soft watercolors and the simple way the penguins were drawn without getting in the way of the story. 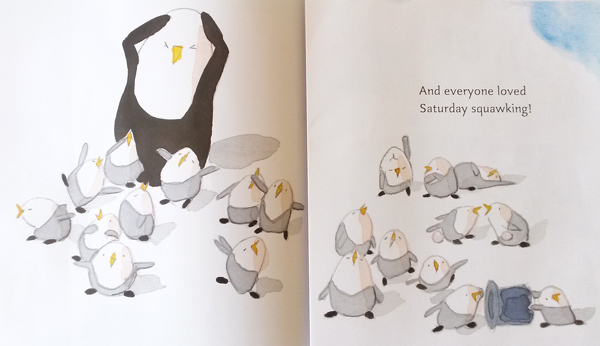 Next time my kids bug me when I’m trying to take a 5-minute break, I’ll tell them I’m Mama Penguin. And if that still doesn’t work, I’ll have to use the big guns and read Five Minutes’ Peace by Jill Murphy to them again. A big thank you to Melissa Guion for sharing her books with me and my kids! Wow, my last WWW Wednesdays post was two months ago… What can I say? The good new is, I read 61 books in 2013, not including the children’s books I read with my kids. I did read a lot of books in November and December, but somehow never got to write about them here. So I guess this is a catch-up post, for adult and children’s books, or at least a listing of our favorites in the past few months. I also want to put a list of my favorite books in 2013 very soon, and I hope you get to add to the list. Goals! How To Get Everything You Want by Brian Tracy. As I’m still working on listing and organizing my many, many goals for 2014, I’m looking for ways to lay them out so they’ll be easier to achieve step-by-step. Quite a challenge. No Excuses! : The Power of Self-Discipline by Brian Tracy. If you’ve never read any of Brian Tracy’s books, this is a good one to start with. Full of quotes you might find insightful (or annoying if you’re not a fan of quotes), this book shows you how to implement self-discipline throughout the various areas of your life, including personal success, work, finances, health and relationships. Tracy makes it very clear that self-discipline is one character trait that differentiates the more successful people from the others. You can make small changes in your life to be more disciplined to get what you want. Most women with children will want to take some of Tracy’s advice with a grain of salt or adapt it to their individual lifestyle. Remarkable by Lizzie K. Foley. This first young adult novel was entertaining and easy to read. I enjoyed the variety of characters and how each of them played a role in the development of the story. I think many kids can identify with Jane Doe, who feels she’s nothing special among all these extremely talented people living in her town. She’s considered not as smart and gifted as the other kids, and yet, she’s the one who solves many problems and puzzles by the end of the book. A nice lesson for kids illustrating that when you’re too wrapped up in yourself, you miss out on the world around you. I just wish the pace had been a little more energetic in delivering the story. Mind in the Making: The Seven Essential Life Skills Every Child Needs by Ellen Galinski. If you’re looking for a book full of insightful data on the life skills a child needs to develop, this is probably it. If you’re looking for a book that gives you a lot of practical advice on help your child develop those skills past the preschool years, this is not. Although I found the research interesting and valuable, I realized that the majority of this book is more theoretical than practical, and mostly focuses on infants up to preschoolers. Eat Move Sleep: How Small Choices Lead to Big Changes by Tom Rath. If you’re looking for a miracle diet or type of exercise to help you lose weight, this isn’t the book for you. Tom Rath provides nothing earth-shattering or a deep secret only a few know about. Instead, he lists the many, many small choices we can make in our daily life to improve our health. Most importantly, he explains why you can’t just eat right, or move more, or sleep better, but rather you have to make changes to ALL three, as they work in unison to keep you healthy. For example, if you don’t sleep enough, you may overeat as well as feel too tired to exercise. If you don’t eat the right foods, you may not have the energy to work out but feel to stimulated to sleep well. I recommend you sign up for a 30-day personalized challenge, which gives you specific recommendations for your diet, sleep and exercise habits depending on the answers you provide for the initial quiz. Flora and Ulysses: The Illuminated Adventures by Kate DiCamillo. This is another young adult fun adventure by Kate DiCamillo, this time featuring a squirrel that somehow acquires super powers, as well as intelligence and a gift for poetry writing, after being sucked up a vacuum. DiCamillo is a brilliant storyteller and you can’t help but root for her main character, Flora, who’s in desperate need of love, comfort and friendship after her parents divorce. And she will find all three in the several people she runs into, who all have their own story to tell. I love how DiCamillo shows that friendship and support can be found across generations – a great example of how much life can bring, if we care to look around. The hilarious illustrations are a wonderful addition to this fun story. The Secret Keeper by Kate Morton. This book was such a slow read, I almost put it down after reading a third of it. Instead I decided to scheme through it so I could reach the end. I liked the premise of the story: a young girl witnessing a murder at her house, and fifty years later she tries to make sense of it all, going back in time all the way to World War II in England. The delivery of this story is painful: so many dialogs that seem to repeat themselves and go nowhere, so many words to describe the scenes, even when not much happens, so little character development. It’s as if the author was given a number of words to write and she had a hard time filling every page. Also, why do so many books today have to switch back between past and present storytelling??? Really, it’s getting old, especially when it adds nothing to the story. Oh, and the “twist” at the end of the book is nothing you can’t guess on your own halfway through the book. Unless you’re a big fan of Kate Morton, you may be disappointed with this book’s pace and style. All I Really Need to Know I Learned in Kindergarten by Robert Fulghum. This is a very interesting collection of essays on a number of life subjects. I read the 15th anniversary edition, so the author updated it with new essays and removed outdated ones. He also added some comments here and then that added to the original story. All essays were drawn from his personal life and experience and most of them rang a bell. It is indeed true that everything you need to know about life, you learned it in kindergarten, including share, clean up your mess, say you’re sorry, don’t take what’s not yours, play fair, and my favorite one, wonder. – Dedication matters more than occupation (deciding how your occupation fits within your family life and not the other way around is what matters most). – Let your goals live with you (even if you can’t work on your goals at specific times, there’s no reason to abandon them; let them adapt to the life you live). – You define a child every day (did you know a child’s feelings about his family relationship does more to define that child’s outlook and self-image than anything else?). – See the big picture (don’t see your life as tiny pieces but as a whole, to get a broader perspective and not let small frustrations overwhelm you). 100 Secrets of Healthy People by David Niven. This book is full of simple tips to live a healthier lifestyle, most of which you already know, while others are interesting to discover or remember. My favorite health tips? “Healthy living is an attitude” (seeing your health in a positive light helps you maintain healthy habits), “breathe right” (it’s amazing what proper breathing can do to you), “laughter really is medicine” (it reduces anxiety and pain), and “hug for health” (hugs relieve stress and provide comfort). 1984 by George Orwell. This is the second time I’ve read this book (I was in high school the first time) and I’ve found it just as terrifying today. Orwell wrote this book in 1948, right at the end of the second world war, establishing England and its allies as Oceania, a land in state of constant war against changing enemies. The main character, Winston Smith, works at the Ministry of Truth, where every day he has to “rewrite” newspaper articles and books to change the news according to the latesst events, therefore rewriting history, even deleting the very existence of some public officials once in a while. A lot more goes on after that and I don’t want to spoil it for you if you haven’t read the book. The policy held by Big Brother’s party against the middle class and the lower class is chilling, and somehow not so far off from our world today, in many ways. A definite read. The 100 Simple Secrets of Successful People by David Niven. By “successful”, Niven doesn’t mean “rich”, but rather people who are satisfied with their career, enjoy what they do and are growing. Here are just a few secrets that spoke directly to me: “boredom is the enemy” (you need to find something you enjoy or your persistence and interest will quickly diminish), “don’t want everything” (choose what you really want out of your career and focus on that, rather than look at what others have and want the same), and “it starts and ends with you” (access personal responsibility for your decisions and be open to new opportunities). If you’re looking for some inspiration in the workplace, this is a great little book. Daily Rituals: How Artists Work by Mason Currey. I also requested more books on goal setting, procrastination and children’s book writing from the library. This is going to be a busy reading year. My youngest is really into Angry Birds and I discovered there are many, many books with those little pesky guys. Some of the books are for early readers and discuss Angry Birds Star Wars theme (Angry Birds Star Wars: Angry Birds Star Wars: Lard Vader’s Villains, and Angry Birds Star Wars: Darth Swindle’s Secret). They sure are a great way to motivate a young reader! Other books were made in collaboration with National Geographic. We’ve been reading National Geographic Angry Birds: Animals, which goes all around the globe to introduce some animals and their habitat. On each page, the birds talk to each other, while they’re looking for their eggs. Again, a great way to motivate a young reader to read all of the speech bubbles on each page. I’ve requested more books in the series from the library and I hope they’re as much fun. My oldest recently discovered Calvin & Hobbes and he’s been reading and rereading the Calvin & Hobbes complete collection. This is a great way to keep a reader interested, but definitely not a quiet way. Lots of giggling and laughing out loud going around. We’ve been reading so many books in the past couple of months, I’ll just list some of our favorite. We LOVE Chris Van Dusen’s gouache illustrations (they’re so precise and detailed, they look like they were made on a computer) and although he’s illustrated a lot of children’s books for other authors, including Kate DiCamillo’s Mercy Watson series, Van Dusen is quite a talented writer too, opting for rhyme for his very funny books, including Down To The Sea with Mr. Magee, The Circus Ship (we really, really liked this story), If I Built A House, and If I Built A Car. – Chicks and salsa: chickens are tired of chicken feed and decide to try some Southwestern cuisine instead. – Pirates vs. Cowboys: what happens when pirates and cowboys speak two different languages and suffer from miscommunication? I don’t know but I’m sure it will be good stuff. What about you? Any books you or your kids are reading you’d like to share? If you enjoyed reading this post and would like to receive future postings, please enter your email address and click the Sign Up button at the top right of this page. Thank you for reading! Goofy Monday: Don’t drive like my brother! Wow, it’s been a long time since I wrote a Goofy Monday post. I’ve been writing all these funny things my kids say on memos on my cell phone and I’m just going through the list right now to put this post together. You’ve got to love technology for helping you capture these thoughts right in the moment, when you don’t have a piece of paper handy and your memory has more holes than Swiss cheese. 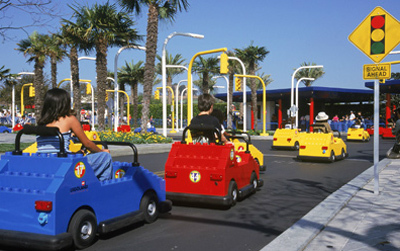 I recently took my kids to LEGOLAND California, and while we were waiting in line for the driving school attraction, we had plenty of time to look at the kids who were currently driving around. So many of them were running stop signs and red lights, driving on the wrong side of the road and crashing into other cars, that made waiting in line very entertaining. And then we reached the front of the line. Talking about Lego, one of its copycats competitors is Mega Bloks. And although we happen to have mostly Lego at our house, we also have a few Mega Bloks sets. Haha, sorry Mega Bloks, so much for taking down the Lego empire. Even 5 and 7-year olds know better than try to mix them up. Son #2 performs a stunt, jumping high and landing in a fake split position. Life with boys is never boring. Ever. But I love every minute of it. What are some of your kids’ favorite lines? Mama, I'm going to marry you! Why do kids get sick all the time? You can purchase my photos online as prints, posters, canvas, calendars and on many other products. Don't see a product or photo you'd like? Just ask and I'll create it for you. My online images are watermarked for copyright protection. 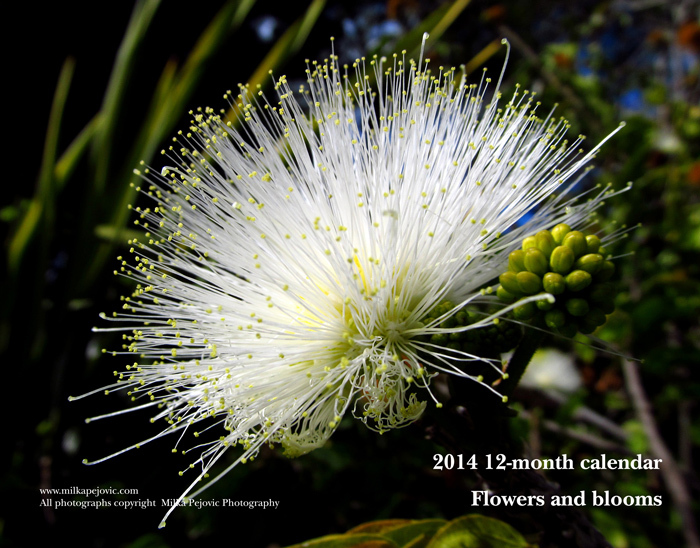 My photo products on Zazzle don't contain watermarks or my signature. Milka has completed her goal of reading 60 books in 2014! Share book reviews and ratings with Milka, and even join a book club on Goodreads. © 2010 Perfecting Motherhood. All rights reserved. 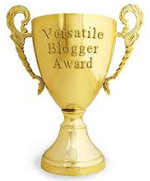 The Perfecting Motherhood name and blog content are protected since first use, May 2010. You may link to content on this site but content is protected and may not be reproduced without written permission. Click About Me page to contact me.